Dr. Shanks grew up in the heart of San Francisco with her loving parents and older brother. She completed her Bachelor of Arts degree in human biology from Pitzer College, a member of the Claremont Colleges, in Claremont, California. It was there that her love for sports and medicine cultivated into the pursuit of a career in podiatric medicine and surgery. She then returned to the Bay Area to attend the California School of Podiatric Medicine at Samuel Merritt University in Oakland, California to receive her Doctor of Podiatric Medicine degree. She completed her residency in forefoot and rearfoot/ankle reconstruction at St. Mary’s Medical Center in San Francisco, California. Dr. Shanks is board certified by the American Board of Podiatric Medicine and board qualified by the American College of Foot and Ankle Surgeons. 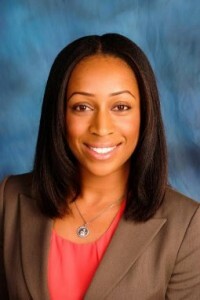 She is trained in elective surgery, wound care, trauma, sports medicine, and reconstructive rearfoot and ankle surgery. She is published in the Journal of the American Podiatric Medical Association, and actively volunteers in local athletic organizations as well as community organizations performing diabetic foot screenings. In her spare time she enjoys cooking, hiking, backpacking, travelling and spending time with her family and friends. She looks forward to providing podiatric medical and surgical care to Napa and Solano counties to help you maintain a healthy and active lifestyle!